In 2011 we joined the Institute of Customer Service (ICS) and in 2012 began working towards achieving the ICS ServiceMark accreditation. This is a national standard which recognises an organisation’s commitment to, and achievement in, customer service measured by colleague and customer feedback and corroborated by an external audit. Step 3: Audit. Ensure that we are doing what we say and that the service mark accreditation is deserved. ICS SERVICE MARK - HOW HAVE WE BEEN DOING? 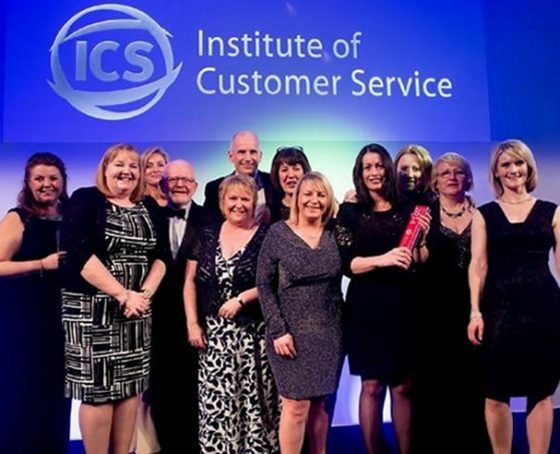 Encouraged by great feedback from ICS, in 2014 we decided to enter the UK Customer Satisfaction Awards held in London and judged by a panel of industry experts. The Awards recognise and reward excellence and innovation in customer service, so we were absolutely delighted to win their Employee Engagement Strategy Award for 2014. Here are a few examples of the colleague schemes that we have all helped to put in place: Customer Experience Weekly Updates, Breakfast Meetings, Voice of the Customer Boards, company-wide suggestion schemes including ‘Great Customer Ideas’ and ‘IDEAS’, ‘Customer Corner’ and regular colleague surveys. Our latest colleague survey results were our best ever at 7.8 out of 10, – up from 7.6 in 2015. We’re not resting on our laurels though as it’s our ambition to reach at least an 8 out of 10 colleague score. How do we fair against our competitors in terms of customer satisfaction? We also carry out regular service benchmarking against our competitors using ICS research. They found that this year Damart UK scored a fantastic d 8.9 out of 10 for customer service. We smashed the combined average score of all our competitors – 8.2 out of 10 – and even beat John Lewis, Next, H&M, New Look, and M&S!! Our customers are always at the heart of everything we do so we are thrilled that they are seeing the benefits of our continually improving customer service. It’s a testament to all of your hard work and commitment. 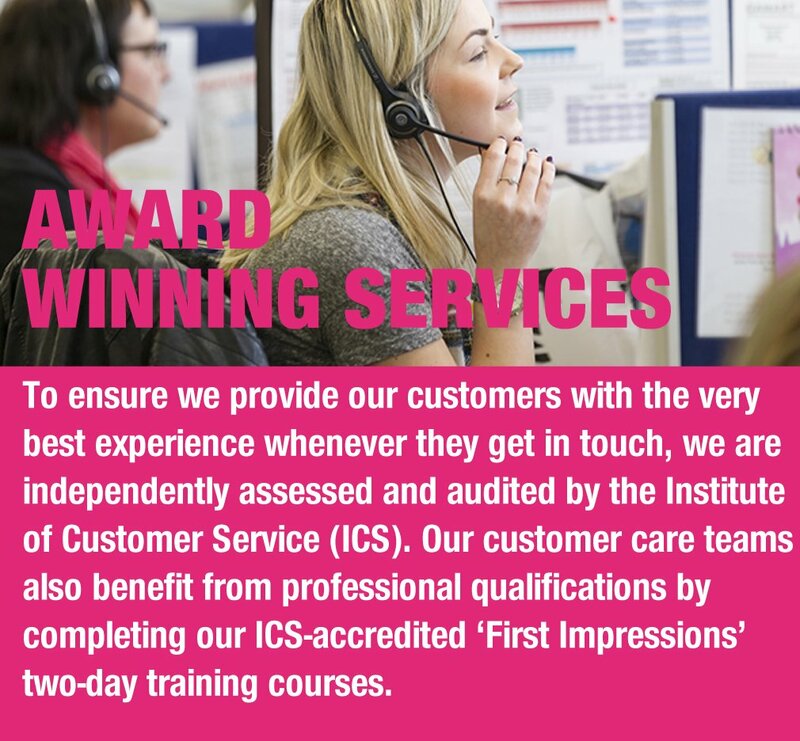 Over the last two years more than 120 Customer Service colleagues have also gained professional qualifications by completing our ICS-accredited ‘First Impressions’ training course. This two-day training course has produced lots of fantastic service innovations and improvement ideas.